Signed l.r. corner, black ballpoint pen "D F.". Not dated. Anne Gray, Art and Australia (Vol. 39, No. 3) , 'Donald Friend in Nigeria', pg. 428-435, Sydney, Mar 2002-May 2002, 432, 433 (colour illus.). pg. 431 & 432 details influence and context of Friend's practice; pg. 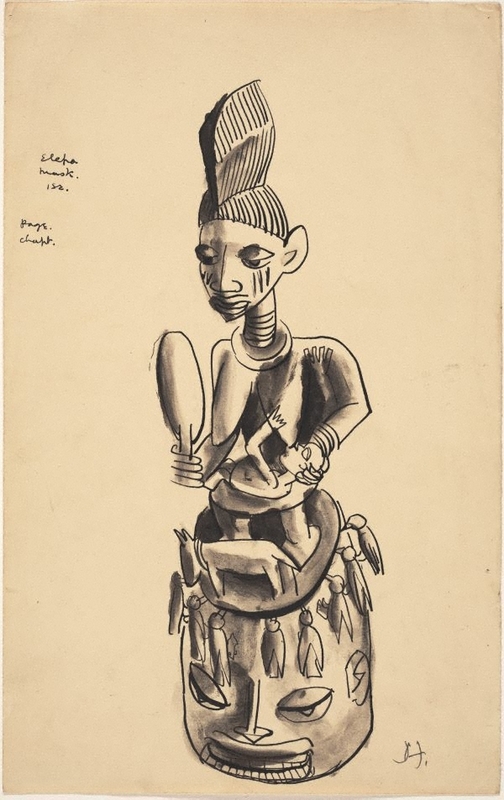 435 describes the artist's Nigerian manuscript for which this drawing was intended as an illustration.